The oldest known account of a synagogue service is actually in the Gospel of Luke (4:16ff). And Jesus is preaching from the scroll of prophet Isaiah in Nazareth’s synagogue. Can there be any clearer example showing how common are Christian and Jewish roots?! And it matters little that theologians and archeologists have serious doubts about the historical accuracy of this story. Archeologists searched diligently for a first century synagogue in Nazareth and did not find any. In fact not a single synagogue from the first century or earlier has been found in the entire region of Galilee! It is also extremely unlikely that Nazareth, a rural village of about three hundred inhabitants would have owned any scrolls, not to mention a large scroll of the biblical prophet. All these facts point towards the Evangelist Luke as the one who created this story in order to capture and to outline the essence of the entire Jesus’ teaching. Luke simply used the cultural expectations of his Hellenistic city audience about fifty years after Jesus’ crucifixion. But even when this story is dated to the time of the composition of the Gospel of Luke, this story still remains the oldest account of a synagogal worship. Christianity indeed co-evolved with Rabbinic Judaism like two branches growing from the same stem of the first century Judaism. We share together more than we often admit or can imagine. 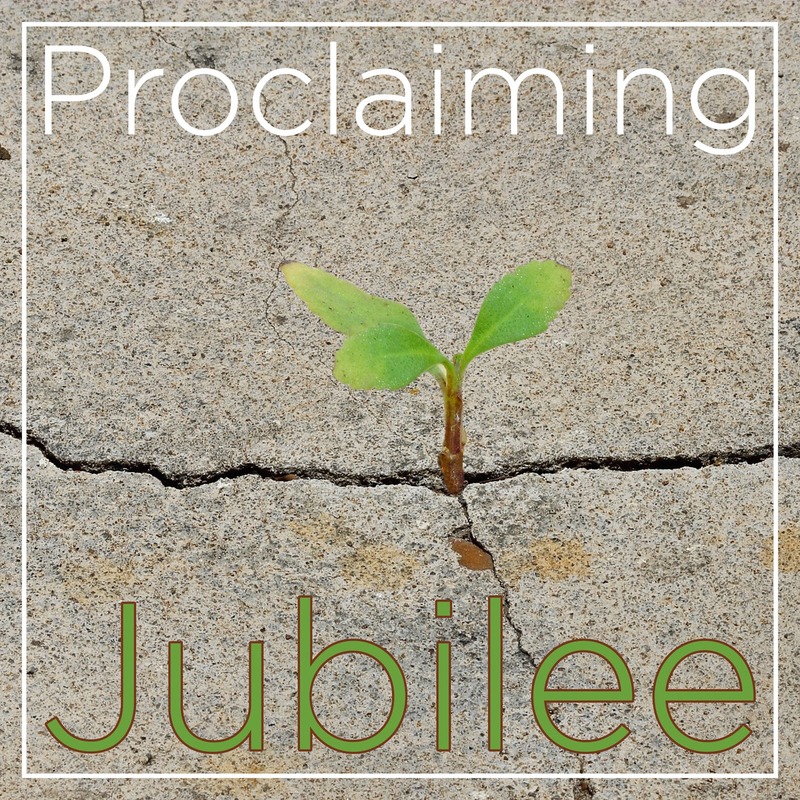 Those shared deep roots certainly include Jesus’ message - the proclamation of the Jubilee; forgiveness of debts and release of debt slaves. When our faith leads us today, as it does at Rutgers, to call for and strive for social justice and protection of the poor and vulnerable, then we stand in an ancient and glorious tradition. That tradition preceded Jesus and also Isaiah. It goes back to the very beginnings of our civilization in the Bronze Age Middle East. Join us this Sunday radically expanding the circles of our love and care. This is not the only instance when the Gospels are telling us about Jesus interacting with tax collectors. 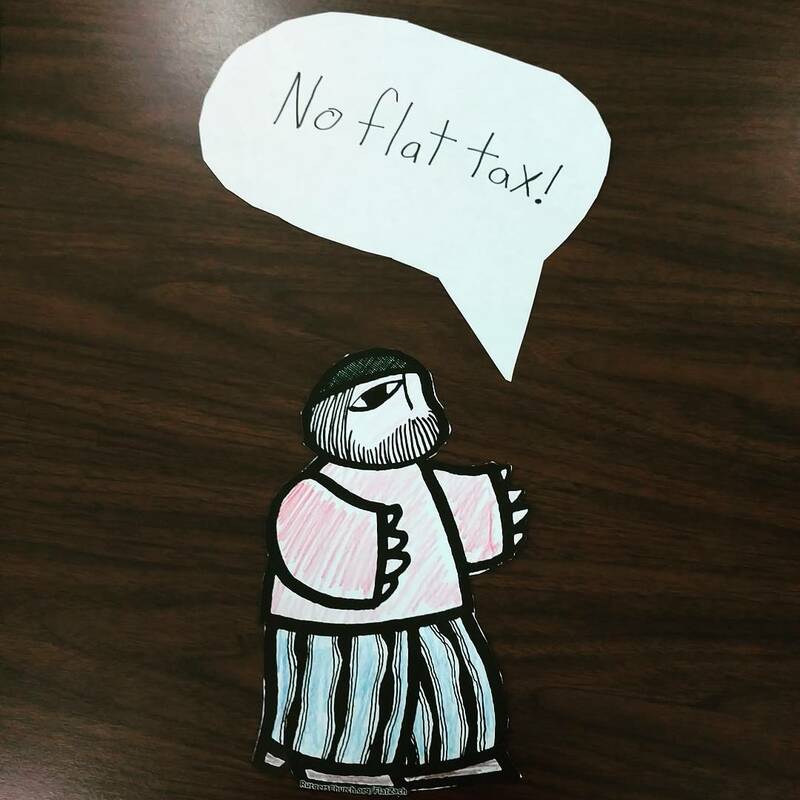 Why were tax collectors this widely and deeply despised? Roman tax collection could be described as a form of franchise. A tax collector “purchased” from a city or a province the right to collect taxes from a certain territory for a certain period of time. State authority received this advanced payment and it was the tax collectors’ responsibility to cover the cost and make profit. How easy was it to abuse this tax collection system under Roman rule with efficient policing power and few rules to curtail overreach? Recently a certain collector of taxes was appointed in our area. When some of the men who apparently were in arrears because of poverty fled in fear of unbearable punishment, he laid violent hands on their wives, children, parents, and other relatives, beating and trampling and visiting every outrage upon them to get them either betray their fugitive or pay up on his behalf. How does this contemporary testimony help us understand the Parable of the unforgiving servant? "The kingdom of heaven may be compared to a king who wished to settle accounts with his slaves. When he began the reckoning, one who owed him ten thousand talents was brought to him; and, as he could not pay, his lord ordered him to be sold, together with his wife and children and all his possessions, and payment to be made. So the slave fell on his knees before him, saying, 'Have patience with me, and I will pay you everything.' And out of pity for him, the lord of that slave released him and forgave him the debt. But that same slave, as he went out, came upon one of his fellow slaves who owed him a hundred denarii; and seizing him by the throat, he said, 'Pay what you owe.' Then his fellow slave fell down and pleaded with him, 'Have patience with me, and I will pay you.' But he refused; then he went and threw him into prison until he would pay the debt. When his fellow slaves saw what had happened, they were greatly distressed, and they went and reported to their lord all that had taken place. Then his lord summoned him and said to him, 'You wicked slave! I forgave you all that debt because you pleaded with me. Should you not have had mercy on your fellow slave, as I had mercy on you?' And in anger his lord handed him over to be tortured until he would pay his entire debt. Keep in mind that silver money in rural areas were used exclusively for calculating and collecting taxes and taxes were primary cause of bankruptcies. Jesus sat down opposite the treasury, and watched the crowd putting money into the treasury. Many rich people put in large sums. A poor widow came and put in two small copper coins, which are worth a penny. Then he called his disciples and said to them, "Truly I tell you, this poor widow has put in more than all those who are contributing to the treasury. For all of them have contributed out of their abundance; but she out of her poverty has put in everything she had, all she had to live on." How does it change your understanding of this story when you learn that this story actually might be about the compulsory religious tax (an enforceable tithe). All people paid the same percentage of their income, but is it just? How easily can each one live with this supposedly just proportional tax? Person A does not pay any taxes and keeps $420. Person B pays the same tax as above and is left with $1,050. Person C pays 10% more and is still left with $11,400! The extra 10% paid by person C would actually compensate for 15 persons A not having to pay any taxes. Based on the gospel story, would Jesus support proportional taxation (all pay the same percentage) or progressive tax (the poor might not pay anything, the middle class their share and the rich a little more)? 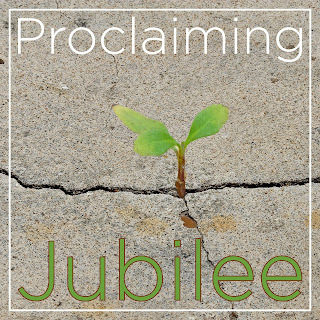 "Thinking about Zacchaeus' transformation, where do you see examples of conversions (people, both rich and poor, getting liberated from unjust systems)?" "Thinking about the Roman system of taxation, where do you see examples of institutionalized exploitation of the most vulnerable members of society today?" "Thinking about the widow with the two coins, where do you see examples of people giving more than their fair share today?" I learned a lot about socio-economic background of the New Testament and gained fresh insights from professor D. Oakman who has been publishing about Hellenistic economy for decades. On behalf of our Peace and Social Justice Network I want to invite you to our Sunday worship which will be a little special this time. We hope to include more fully all generations into our worship and at the same time to integrate our worship with the social justice activism (letter writing). We want to connect more fully our worship, the core of our faith as community, and with our lives in society. It is my conviction that faith and spirituality cannot be separated from our daily social and political lives. Children in our Sunday school understand it very well. I found out when I worshiped with them several Sundays ago. The lesson that Sunday was about the Widow’s gift (Mark 12:41-44) and we were counting buttons in place of coins, yet all kids instantly recognized the injustice inherent in the system where the rich and the poor are asked to contribute the same percentage of their income. Kids in Sunday school instantly understand it. Adult Christians tend to have greater problems. The traditional Church overwhelmingly divorced faith from social justice. For centuries, the church over-spiritualized Jesus. We need to reconnect Jesus with social and political issues which were dear to him. What were they? Just read the Gospels without a religious/spiritual prism! Jesus healed people, especially those who did not receive proper care and attention because of the religious, national and social scruples and prejudices of those around them. And isn’t it a burning issue even in our, especially American, society, where so many loudly call for egocentric healthcare and scream against socially responsible care? Jesus also fed people because there were so many among them who could not have a basic sustenance even for a one day trip and were so seriously undernourished that they could hardly skip a day without a meal and without getting into serious problems. And aren’t we aware of similar situations around the world and even on our own American doorsteps? Jesus often taught in parables which open to us new insights if we are prepared to hear them anew. Take for instance the one about a hidden treasure in the field. Clearly something like that happened at that time, as it occasionally happens even today. But what does it tell us about the society, where the only or predominant hope in life for many is associated with an event as rare as that? Don’t we know it in our own society with lotteries, casinos and slot-machines, where especially the poor people lose their hard-earned money for a false promise of hope? Social justice is indeed permeating the Gospels; we only need to open our minds to these new possibilities. Almost every gospel passage contains in some way Jesus’ concern for the poor, exploited, marginalized and his personal invitation to all of us to join him in changing our world as God would like to have it. Let us come together and worship in the spirit of Jesus. 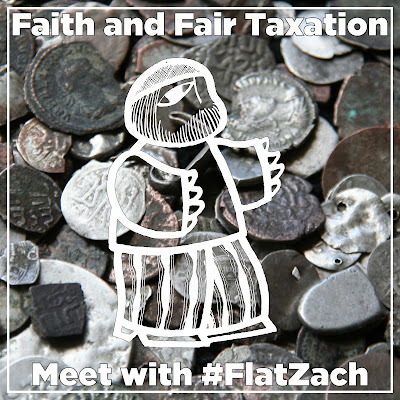 You can learn more about #FlatZach project by visiting our website or dedicated facebookpage. Australians instituted the National Sorry Day on May 26th when they annually ask forgiveness for sins against the Australian aboriginal population. Christians observe Ash Wednesday and Lent - five weeks of self examination. Jewish tradition observes Yom Kippur, a day of Teshuva - repentance and return. I want to take you as far as we can see, to the oldest preserved records of such practices. 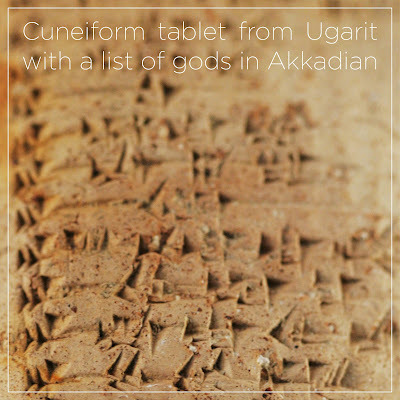 Among three thousand year old Canaanite Late Bronze cuneiform tablets from Ugarit are two tablets (KTU 1.40 and 1.84) with an interesting and eye opening liturgy for the Day of Atonement. within the walls of Ugarit. and atonement for (king) Niqmadu. or any evil which you have done. this is the victim we immolate. This section is followed with an almost identical liturgy for the daughters of Ugarit. This was the first round with an offering of two oxen (unfortunately the exact identity of the offering is not certain because the text is damaged; oxen are our best guess). The first round was followed with a verbatim liturgy and litany offering a ram on behalf of the sons of Ugarit and again identical liturgy and litany on behalf of the daughters of Ugarit. And the entire liturgy was repeated one more time with another offering; this time it was most likely a donkey for men and another one for women. At the end of the day all participants certainly knew the litany by heart and there was enough meat to celebrate a community-wide feast. Now imagine if we took this ancient liturgy and translated it to our times and, say, for our country. In Washington DC, in every state capital, in every county seat even in every town and even village on the designated date and at the designated time all the inhabitants would gather and participate in and recite together a litany offering an apology to the Native Americans and the African Americans, the Hispanics and the Japanese, the Hawaiians and the Filipinos, the Afghans and the Iraqis, all our oppressed and all our homeless, all the victims of police violence and the victims of gun violence, simply all those whom we have knowingly and even unknowingly wronged, all those whom we have directly and indirectly hurt. Imagine in our times if we added the extinct and endangered species, damaged and exploited habitats and environment; eroded soil, poisoned rivers, and polluted air. Now imagine that with this liturgy we would also pledge sacrifices - in our times we would designate sizable budget resources to compensate for our wrongs. Later, throughout the Bible and Jewish and Christian theological tradition, those Canaanites gained a reputation for being religious, moral and social perverts. But when I read the texts they had written by their own hand I think that their religion and their lives made better sense than what we live in our modern society with our transformed and watered-down days of repentance. Wouldn’t it be marvelous to reintroduce today some modernized version of their liturgy and observances for the Day of Atonement? In the year 374 a north Italian city of Milan entered the Church History books. After bishop Auxentius died, Milanese people gathered in their cathedral and elected their new bishop. Nothing special about it, bishops were still elected by the laity at that time. But this time their newly elected bishop was not a priest, neither had he any formal theological training, and at the time of his election, their new bishop was not even baptized! His name was Aurelius Ambrosius and he was a lawyer and secular administrator of the province of Liguria and Emilia with the capital in Milan. As a responsible and caring civil servant, Ambrose came to the cathedral just to make sure that the contested election of a new bishop did not turn into any uproar or fracas. He gave a speech appealing for civility and calm. In the midst of his remarks, we are told, a child in audience loudly exclaimed “Ambrose Bishop!”, and thus, Ambrose became bishop. He was baptized, started to learn theology and never stopped. He became an influential church leader and teacher and is counted among the big Fathers and Doctors of the Church Universal and spiritual father and teacher of another church great - Augustin of Hippo. 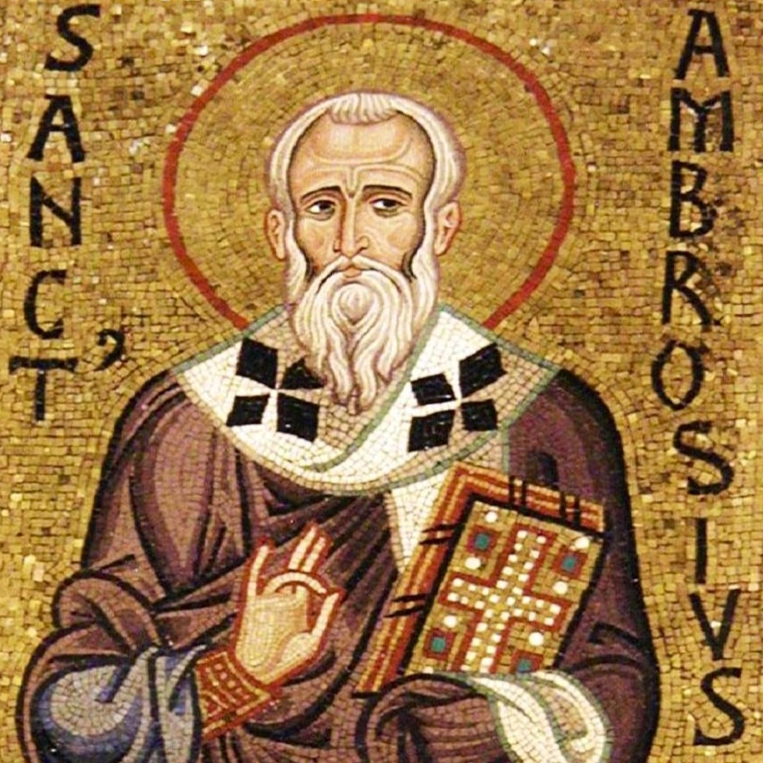 The unique way in which Ambrosius became a bishop did not mean that Church started to elect unbaptized bishops or from that moment on tasked children with their nominations. This unique election only demonstrated a gracious openness of that church at that time towards the freedom of the Holy Spirit. This Sunday we will celebrate the ordination and installation of our new church officers. We will take a moment to consider our administrative structures, their strengths but also their limits. 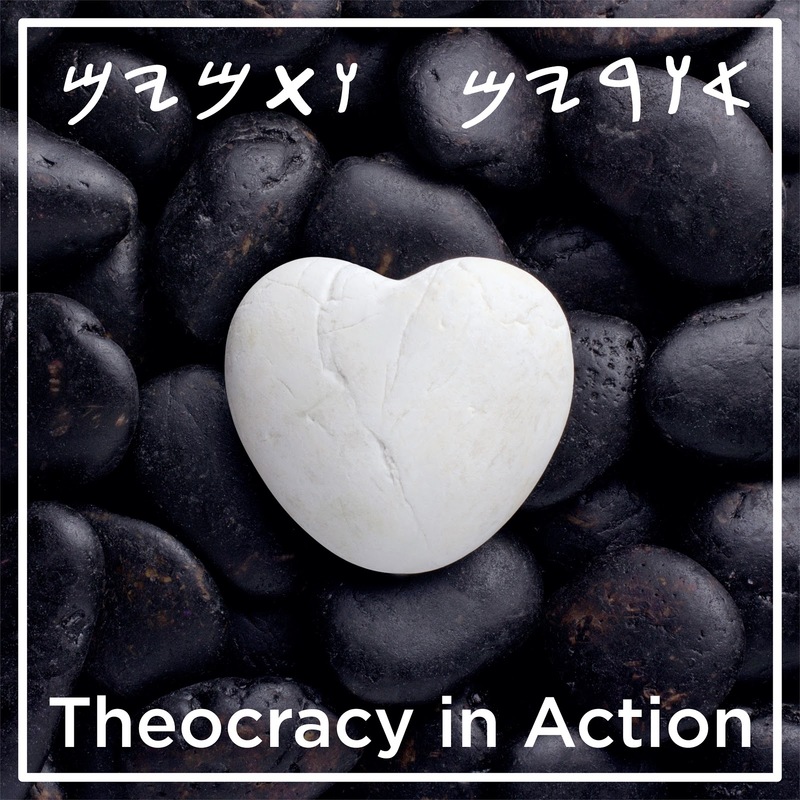 As much as we Presbyterians trust our democratic process, we need to remind ourselves constantly that democracy together with any of our human rules and customs are not the ultimate goal but only a way towards Theocracy - a state when church is open enough to be governed by God godself. 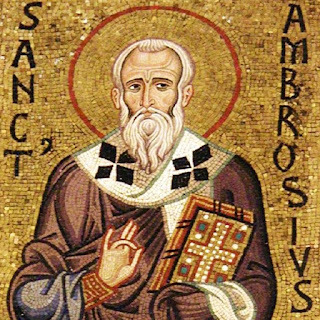 This column was written about an interesting event in the church history and not as an unqualified praise of Aurelius Ambrosius. His faith and theology had clear streaks of fanaticism, superstition (veneration of relics), dark intolerance and persecution of other confessions (Arians) and faiths (especially Jews). Even his election as bishop highlighted the emerging danger of the unholy union between political power and imperial Church. To discuss these darker aspects would require a different approach and genre. For those curious - at the top of the picture is written Urim & Thummim in old Hebrew script. Urim & Thummim were old Hebrew priestly divination lots - traditionally perceived as white and black small pebbles.